A Muslim man who was due to fly out on his honeymoon with his pregnant wife said he was taken off the plane and questioned over terrorism because of his faith and his beard. 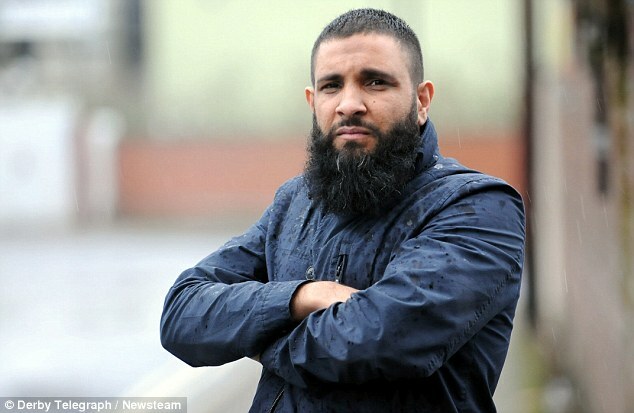 Ahmed Ali was supposed to fly to Marrakesh, Morocco, from Manchester Airport, but was told by staff on the Thomson flight he had to disembark. Mr Ali, 39, of Derby, said he was then taken away and questioned for several hours by Greater Manchester Police Officers. He said it was the 20th time in two years he has been questioned when trying to board a plane, but the first time he was forced to get off. He told the Derby Telegraph: ‘I was on the plane and watching a video and my wife was chatting to the people next to her. We were really looking forward to the holiday because it was a late honeymoon for us. ‘I was then tapped on the shoulder by a member of staff who said you need to leave the plane. I asked three times - 'why?'. She said the police are outside waiting for you.